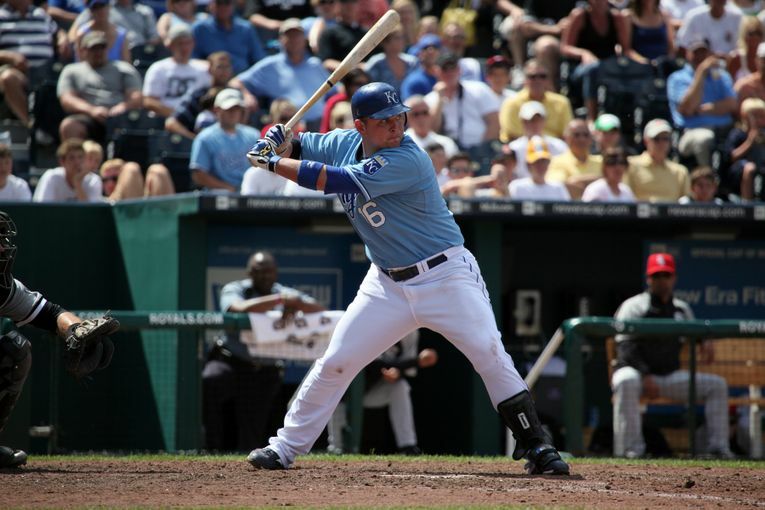 For the Social Media Command Center it spearheaded to welcome fans to the 83rd MLB All-Star Game, the KCCVA earned a Gold Award for Best Use of Digital/Social in a Travel/Hospitality Campaign. Presented by the industry magazine Bulldog Reporter, the Bulldog Awards recognize outstanding achievement by agencies and individuals in the PR and corporate communications fields. This is the KCCVA's first Bulldog Award, placing in the elite company of social marketers at Microsoft, Hilton Hotels and eBay. 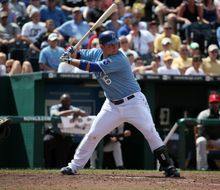 At the recent Adrian Awards Gala, the KCCVA was again honored for its All-Star initiatives, this time earning a Silver Adrian Award for its Social Media Command Center and VisitKC.com Social Media Hub (VisitKC.com/social). Now in its 56th year, the Adrian Awards are presented by the Hospitality Sales & Marketing Association International (HSMAI) and attract more than 1,000 entries from around the world. It is the largest awards competition for tourism-related marketing. The Social Media Command Center was community partnership led by the KCCVA and the office of Mayor Sly James, along with H&R Block, BarkleyREI, Spiral16 and the Social Media Club of Kansas City. Over the course of four days, the team of social media volunteers processed 72,000 conversations, directly interacting with 2,100. The projected reach of the campaign was 6.2 million impressions. 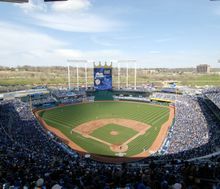 The Kansas City Royals play more than 80 home games each year at Kauffman Stadium. 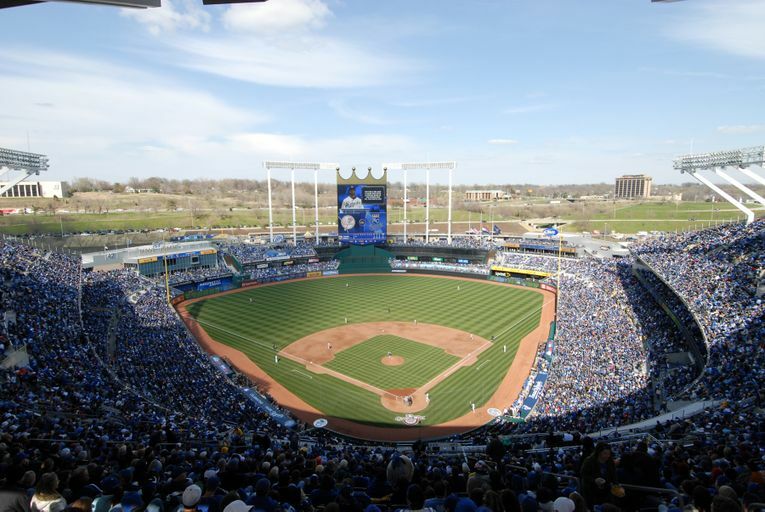 The Kansas City Royals play in Kauffman Stadium, one of the game's most beautiful ballparks.